Do you ever wonder how some people seem to stay fulfilled and positive all the time? It seems like life never throws curve balls their way! The truth is everyone gets curve balls. 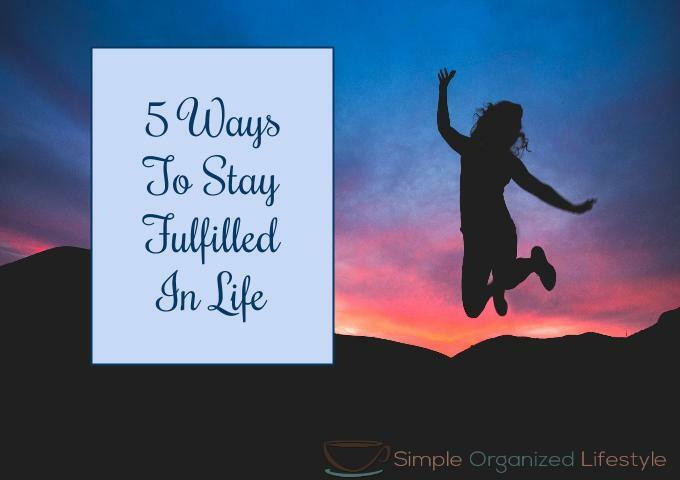 People who live fulfilled lives and stay positive despite their circumstances share these five traits. Fulfilled people express daily gratitude. They are grateful for the good things that happen and look for the silver lining in the bad things that happen. They know that “if only” is not the solution to problems. “If only” is another way of making an excuse. Instead, they think in terms of where they want to go next and how to get there. They plan and take action. Fulfilled people provide service to others with their time or talents. In many ways, that comes back to them even though it’s not the reason why they are serving in the first place. People who live fulfilled lives don’t really care about what the Joneses are wearing or driving. They are content with their choices, which are not based on someone else’s opinion. They are content with something that’s working just fine instead of being consumed by the latest and greatest. When problems come their way (and they do), fulfilled people see them as opportunities to learn and improve. Their mindset allows them to focus on solutions and stay positive because they know it’s ultimately going to work out one way or another.